Hi Everyone! I don't want to state the obvious or anything here but its Christmas Eve - yaaaaayyyy! I'm like an excited little child right now as I've just finished work for 12 days and am about to travel home to the Lakes to see my lovely family. 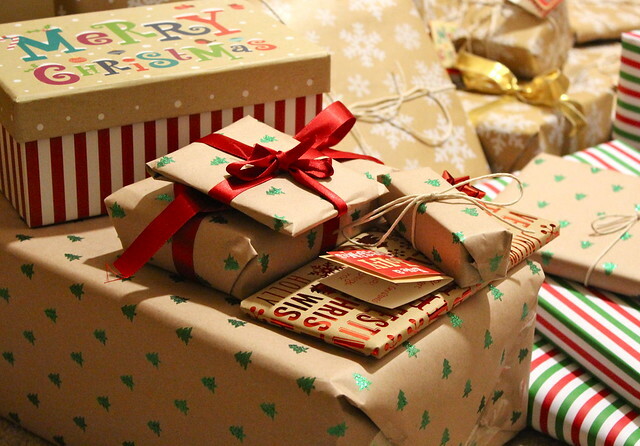 I just can't wait to spend tomorrow with them opening pressies and eating yummy food - its very exciting! I thought it was only acceptable that my final blog post before Christmas is Christmas themed so here it is - I hope it helps you feel all festive ready for the big day tomorrow! On Sunday night I sat down by my Christmas tree, latte in hand, surrounded by wrapping paper, ribbon, bows and name tags and began the misssion that is wrapping presents. If you're anything like me and absolutely LOVE Christmas, then you might get a bit carried away when buying presents. Seriously, I just can't help myself. I think I get this quality from my mum as she's exactly the same as me and when we start buying presents, we can't stop, regardless of whether we can actually afford it - whoops. I think the reason I love it so much is because its that one time of year I can treat the people I love to something I know they really want or something that they'll really love. I always love searching for gifts and putting lots of thought into them and seeing my family opening them and their faces lighting up on Christmas Day is always my favourite part. 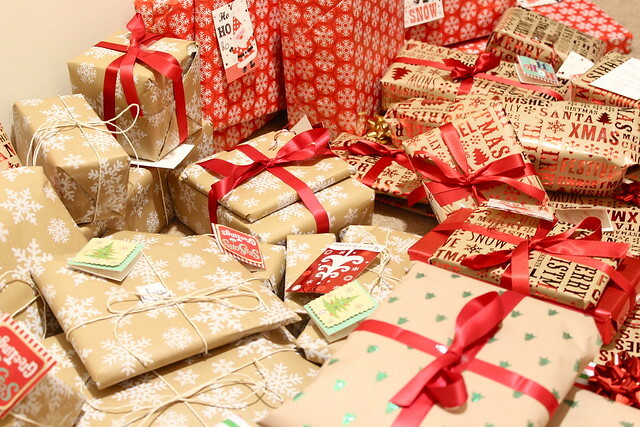 I thought it'd be fun to show you how I wrapped my presents this year incase you're looking for some last minute inspiration! 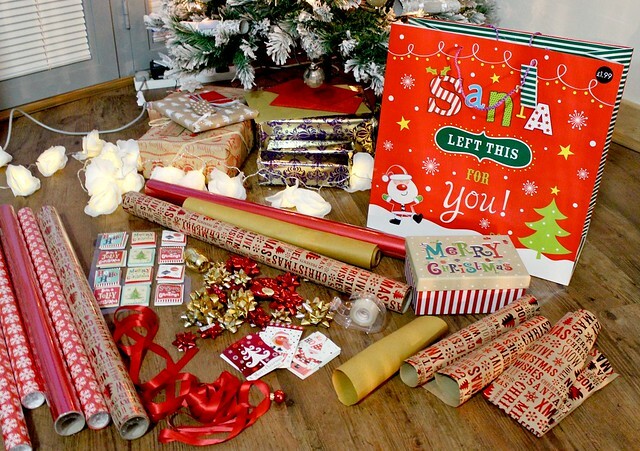 I bought most of my wrapping paper from Card Factory this year as I had so many to wrap and its the cheapest option but I did splurge on a couple of more expensive rolls from Paper Chase (the brown paper with green trees and the stripy paper) to wrap my boyfriends presents in. I've developed a slight obsession with brown printed paper this Christmas as I think its looks quite shabby chic (a style I LOVE) but also very Christmassy at the same time. I also incorporated red into the colour scheme as is the ultimate Christmas colour and I just can't wrap presents without it! To decorate the presents I used a mixture of standard bows from cards factory, red ribbon bought from Fenwicks & Paper Chase and string! I think the string is actually my favourite effect - again, its very shabby chic and matches the brown paper with snowflakes perfectly! In terms of gift tags, I just used a random selection I picked up from Card Factory and Aldi. Ideally I'd of had them all matching the paper (yes, I'm this much of a perfectionist) but unfortunately there wasn't matching gift tags up for grabs in Card Factory so I settled on the ones pictured which are still cute! 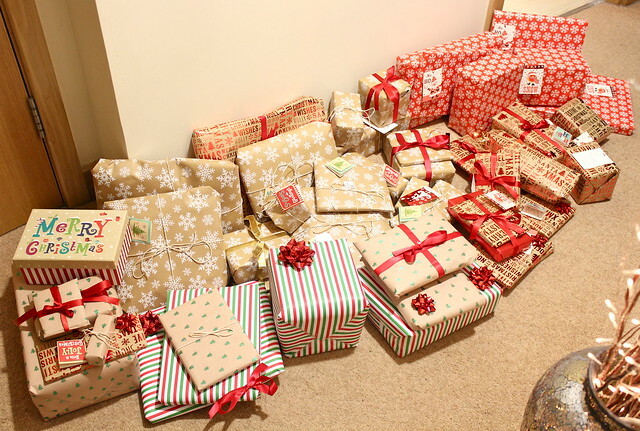 I also bought a few gifts bags to pop my boyfriends, boyfriends mum and dads and my nanna and grandads presents in! 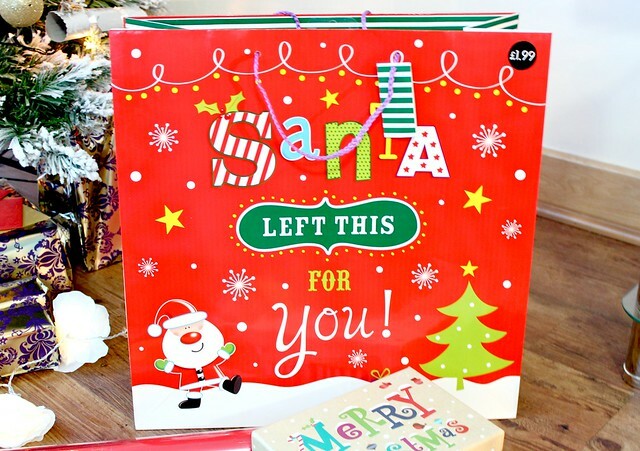 I won't see any of them on Christmas morning so I always like to hand their presents over in nicely presented bags! I think the one I bought for my boyfriend is my fave with the 'Santa Left this for You!' on the front - so cute! Lets just say its full to the brim too - we gave ourselves a budget to spend on each other this year and I totally blew it. Told you - I have zero will power when it comes to Christmas shopping, or shopping in general in fact. 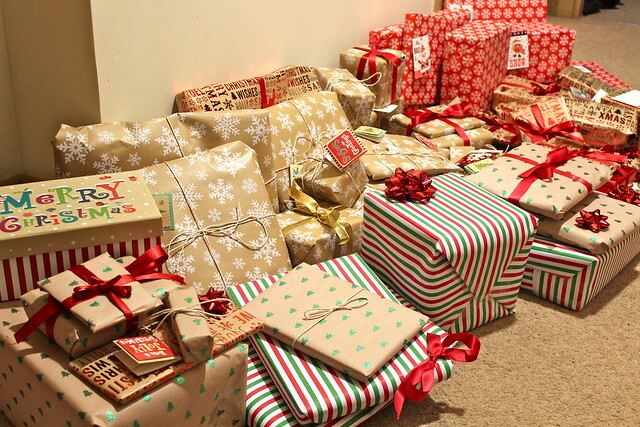 So there we have it - that's my Christmas presents wrapped and ready to be dished out to my family tomorrow! I'm SO SO SO excited, words can't even express haha! I'd also like to say I hope each and every one of you has a fantastic Christmas and a great New Year! I'm not sure how much I'll be blogging over Christmas as I really want to enjoy some down time with my family but I really appreciated all the support you've given me and my blog throughout 2013 and I can't wait to see what's to come in 2014! Eeeep! Enjoy the rest of today and have a fantastic day tomorrow guys! Christmas Eve is my most favourite day ever! I love all the Christmas excitement and spirit! Loved reading your post and the brown paper packaging is to die for! I love the way that you've wrapped everything. I got the little Merry Christmas box for my boyfriend's present. It's so cute. Such a lovely Christmassy post. 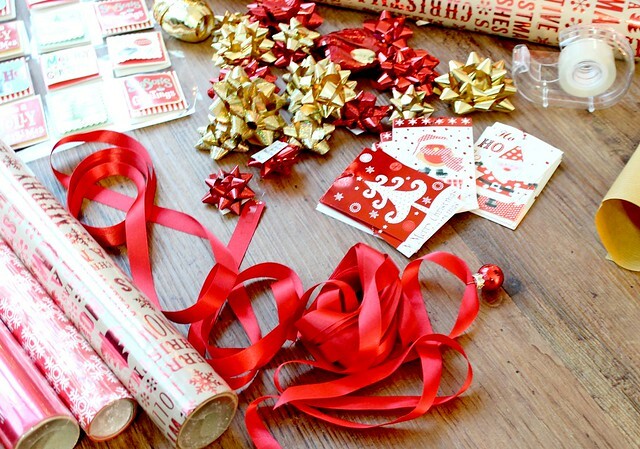 I just love wrapping gifts and love the wrapping paper you have used! Wow those I call presents. I hope you have a great day tomorrow, season greetings to you too. Wow! A lot of presents! :-) I bought the same paper at Paper Chase this year, its quite nice. Merry Christmas and best wishes for the Festive season! WOW your Christmas looks so fun and colourful. 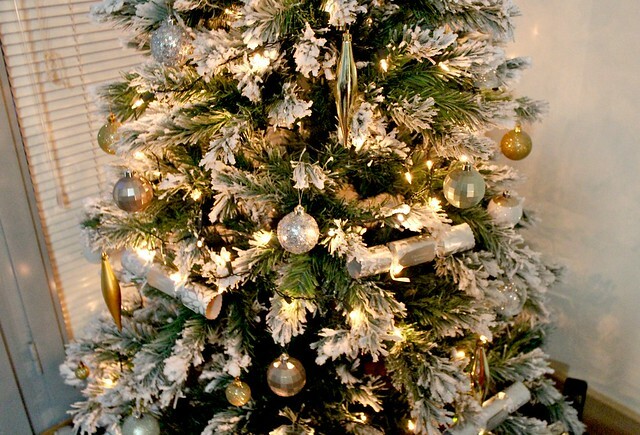 Happy Christmas to you and your family! Merry Christmas and it looks like you had fun wrapping. I hope you had a wonderful holiday with family! Merry Christmas to you too! 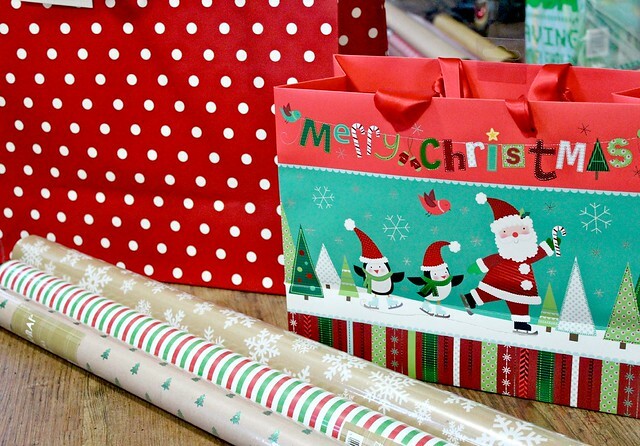 Beautiful wrapping, and wow, so many presents! Such cute wrapping and your photography is beautiful. 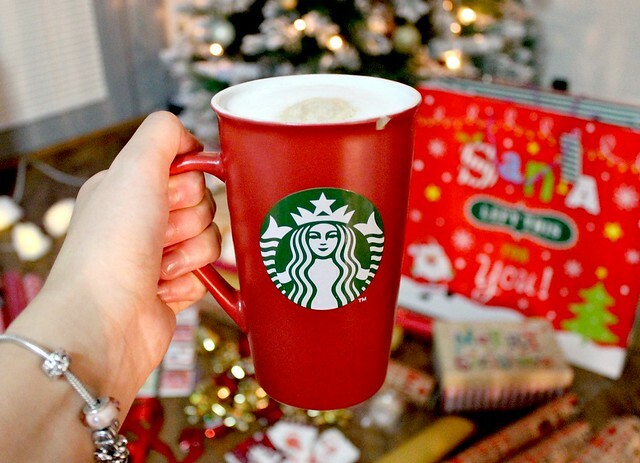 It seems that you really had a great start to an amazing Christmas. I'm glad you were able to spend it with your loved ones! 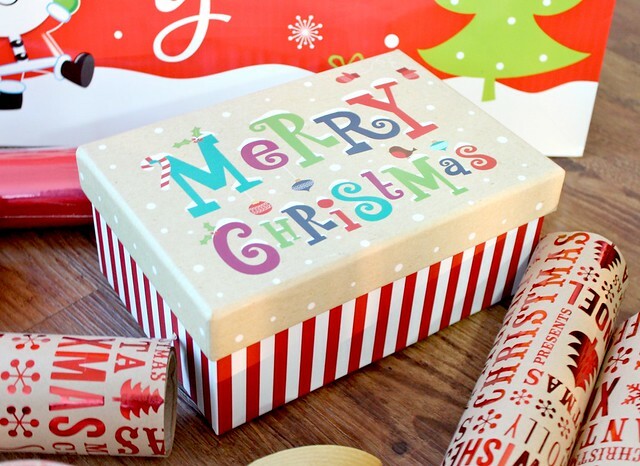 Love the wrapping paper- your presents look so gorgeous! Hope that you had a fabulous Christmas! Love this post, super festive!